Teaching Your Kids to Cook? 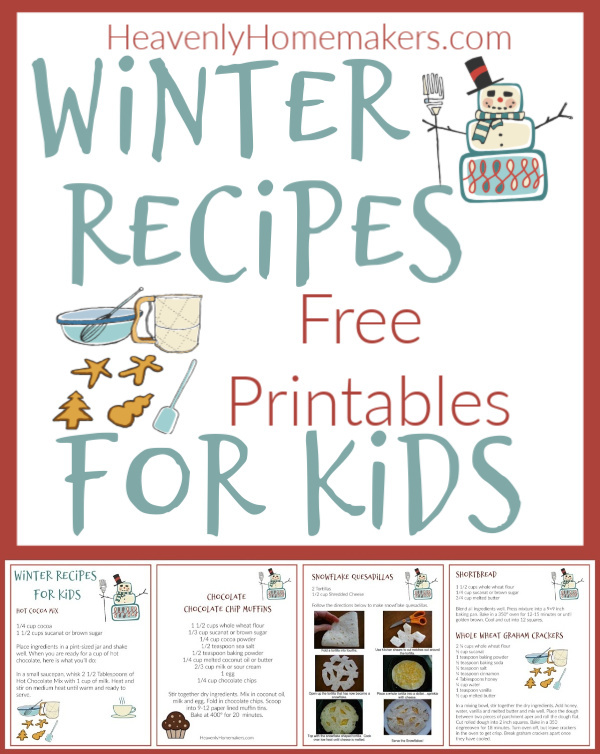 Free Winter Recipes Pack for Kids! 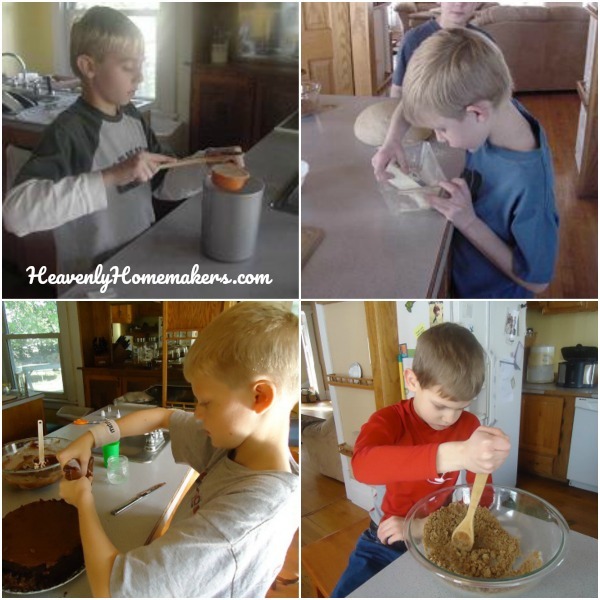 Have you been hoping to help your kids learn to cook? Are they eager but not sure what to make? Are you nervous about pulling them into the kitchen with you to get them started? I’ve got all kinds of resources to help you (see the list below). And today, we’ve got a brand new freebie! It’s a Winter Recipes Pack for Kids! The recipes included in this pack are incredibly simple, and of course, super fun. From Homemade Hot Cocoa Mix to Homemade Graham Crackers, these simple recipes will prove to your kids that cooking is both easy and fun! Yes, you and I know that not all parts of cooking are easy. Or fun. But around here, we always make it easy. And when it’s easy, it’s much more fun, right? These recipes are perfect to make on long winter days. Click here to sign up to get this freebie pack. Grab your kids. Get busy making these fun, easy recipes together! Click here to sign up to get this freebie pack. When you do, you’ll gain access to ALL the free family resources in our Learning Zone. It’s all free, it’s all fun, it’s all educational! Looking for more help as you pull your kids into the kitchen with you? Here’s our Kids in the Kitchen discounted eBook collection. This Kids Cook Real Food eCourse is fantastic! It is well worth the investment for all that it offers to your family! Our Chocolate Covered Kids Cookbook and Resource Pack is filled with helpful tips, instructions, and of course, recipes! And if you really want to go all in and teach your kids to cook this summer, I encourage you to invest in Katie Kimball’s Kids Cook Real Food eCourse. I used this course with Malachi and plan to use it with Bonus Boy too. It is FANTASTIC!!! Get the details here. Now that all those little boys pictured above are very tall, big boys who can cook meals without my help, I am shouting even louder about the importance of teaching your kids to cook! 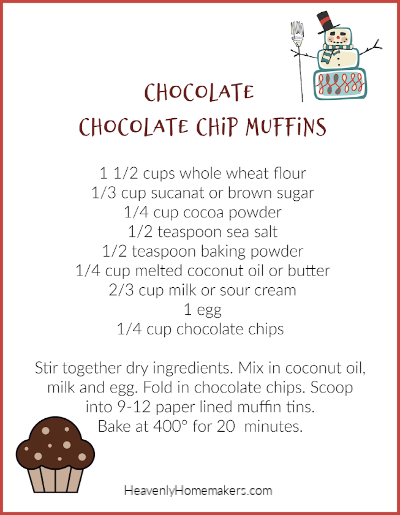 Grab this free packet and get into the kitchen with your kids! Looks great! I’m going to show it to my 10-year-old who loves to bake… but I bet I can get my younger boys interested with snowflake quesadillas or hot cocoa mix!